Mishandled distribution can kill the chances of an important genre offering even making a dent when really it should be fulfilling its potential influential status as a prime innovator of a cinematic movement. Not that British horror ‘Raw Meat’ (aka ‘Death line’ in my native homeland) is an overall great movie as it suffers from inconsistences in its tone. This uneven tone makes for a confusing viewing experience in what we the audience should be feeling. We are up and down like Tower Bridge with our emotions, as we are deeply disturbed at one time then laughing the next. The tone goes back and forth. However, it does employ many awe-inspiring elements for the enthusiastic film buff that all just screams out cult classic. Unfortunately and criminally due to further bad distributing of its home video releases ‘Raw Meat’ has not even achieved that honour. This most under seen of under seen titles deserves to have a huge spotlight shun upon it. The elements on display here to please the average cinephile include directorial flair with ingenious creative touches that echo the word masterpiece supplemented by very nice cinematography, dark lighting and an unsettling musical score that all heightens its dreaded atmosphere when it actually comes to the horror. The cannibalistic antagonist here is savagely realistic with an equally so multi death sequence that contains a great deal of gore. 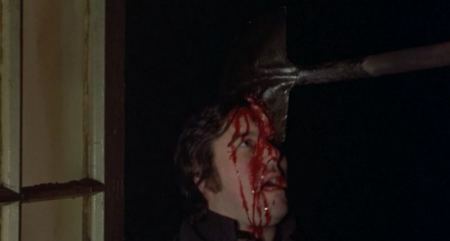 The execution of this set-piece shows off slasher conventions predating ‘Black Christmas’ by one year and its blood-letting beats ‘Friday The 13th’ by a stonking seven years. 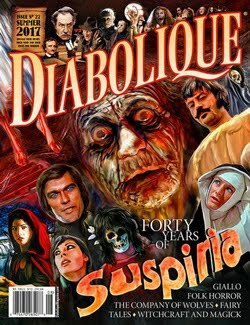 It is possible that American writer and director Gary Sherman took his inspiration here from Mario Bava’s Italian giallo thriller ‘A Bay of Blood’ (1971) which is a prime influence of the slasher. 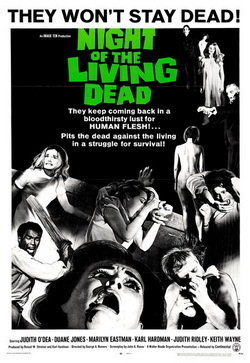 ‘Raw Meat’ set in the modern day London of the time the movie was made nods to the then changing influence from America with Night of the Living Dead’s of this day approach to horror which dispelled of the previous gothic settings and themes that Britain’s very own Hammer film productions helped to make so iconic in popular culture. 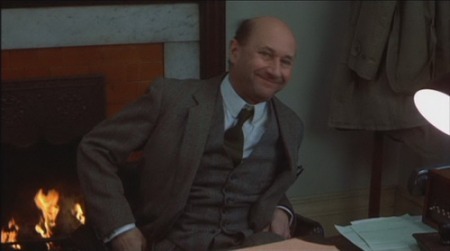 Featured prominently is a knockout performance by the late great genre veteran Donald Pleasance delivering highly humorous dialogue in what makes for the movie’s comic relief. These scenes of comedy could be an argument for just that relief of our fears until we are jolted again by the terror. It is just that while I love humour in horror with ‘An American Werewolf in London’ (1982) being a prime example of that John Landis’ film got the perfect balance of the two just right there. Landis skilfully blended the two into a mix that at the same time does not corrupt each other they do not cancel each other out, as the comedy does not spill over ruining the horror and vice versa. The characters took the scary situations they were in seriously but the director could still very cleverly find a way to make us laugh simultaneously until the next shock tactic was enforced. Here it is one or the other a sudden shift in tone that confuses us. At one point, we are laughing at Pleasance’s overbearingly boorish tea loving London working class police detective Inspector Calhoun in a comedic police thriller where he distracts us from the seriousness of the crimes treating even the talk of the grisly murders with jokey sarcasm. Spliced together with these scenes we are mortified by the depictions of these murders and cannibalism in the deep dark depths of an abandoned underground tube station. We have two movies in one here. Injected into these tunnel sequences are also a distinct sadness melancholia portrayed through the grievance of the lone survivor of a family of cannibals after his pregnant companion passes away. 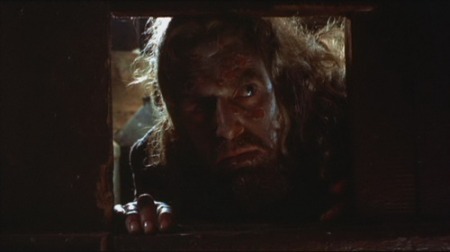 Although highly effective these scenes contribute to awkward pacing but the combination of seeing this and the extensively detailed gruesomeness of the Cannibal's den of slaughtered corpses both fresh and rotting makes for an extremely intense and interesting viewing experience for any fan of shocking cinema. A brilliant long fluid camera panning lasting a near eight minutes sums all this up perfectly including the murder of the taken important politician James Manfred OBE that begins the story. 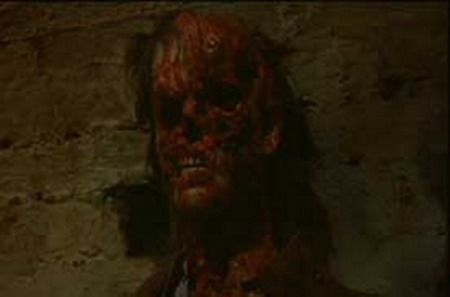 While the creature here is hideously unsightly covered in sores, drooling and inbred the portrayal is ultimately sympathetic despite his violent actions. His origins stem from being a victim of Britain’s social failings. He is a decedent from a group of workers that were tunnelling under the British museum to build a tube station way back in 1892. A tragic accident where a large section of the roof collapsed buried twelve workers - eight men and four women. Due to this, the company they worked for went bankrupt and could not afford to dig them out. However, most of the workers survived because of air pockets in the tunnel, a supply of water and feeding off each other when one would die. This monstrosity of a primitive like savage is a creation of Britain’s own social ills. The poor working class are ignored due to government and industry incompetence. 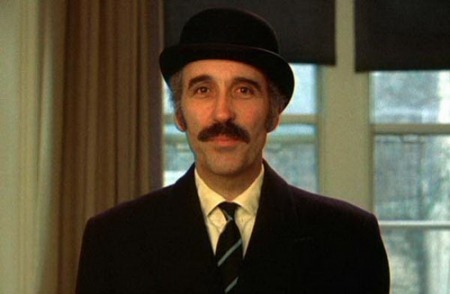 The social commentary on the class system is also evident in a great stand out scene between Donald Pleasance’s working class inspector Calhoun and the cinematic god like presence of the legendary Christopher Lee making a non-phoned in cameo in a highly memorable appearance as an upper class M.I.5 agent. Lee’s character attempts to put a stop to Calhoun’s investigation into the disappearance of the OBE politician when their paths cross while Calhoun and his partner are searching the said politician’s luxurious house claiming that Calhoun is out of his jurisdiction. The M.1.5 operative’s concern is to cover up the missing member of the houses of parliament’s sordid lifestyle in picking up prostitutes. This was something he was doing when the cannibal abducted him. The exchange of dialogue between Pleasance and Lee containing class jibes at each other is just priceless. Their chemistry in just this one scene is immense. A negative aspect of this though is that we would have liked to see more of Christopher Lee in a sub-plot trying to sabotage the investigation in which this scene could have so easily set up. The chemistry between the two young leads however is non-existent. Alex Campbell (David Ladd) and Patricia Wilson (Sharon Gurney) are the ones who find the body of the unconscious upper crust toff before he is taken by the creature. They are two terribly stiff performances aided by blander than bland characterization. 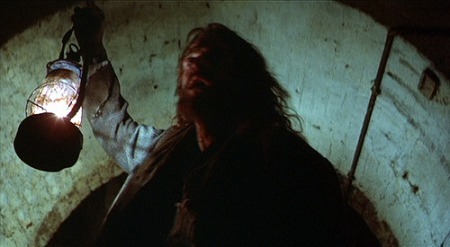 Patricia becomes the object of the cannibal’s desire in replacing his lost love in the film’s climax. Overall, despite its shortcomings ‘Raw Meat’ is well worth your consideration. Director Sherman would go on to become something of a cult genre figure thanks to this solid effort, the much loved by horror fans zombie movie ‘Dead and Buried’ (1981) and the hugely entertaining exploitation of the action thriller ‘Vice Squad’ (1982). Unfortunately, he also made one of the worst horror sequels ever with ‘Poltergeist III’ in 1988. Available on DVD for some time now you should start giving this British gem its much deserved cult following. Just make sure you “Mind the doors".